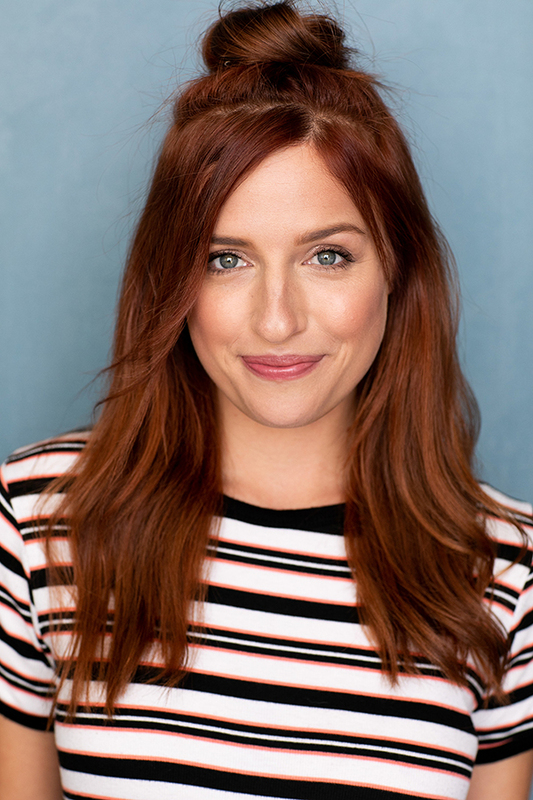 Today I’m going to talk about Project Life. If you haven’t heard about it, you can read all about it here (and watch a short video). 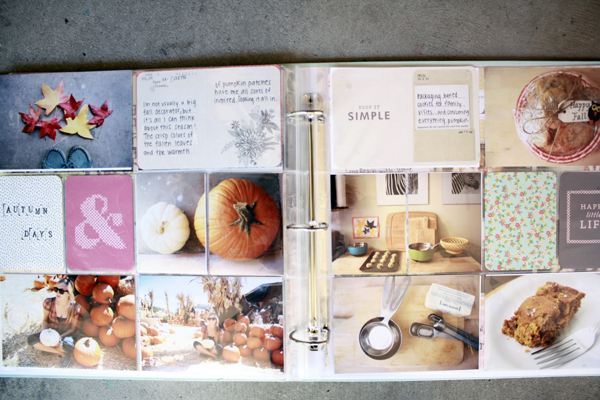 It’s a memory keeping system, like scrapbooking, but much simpler. 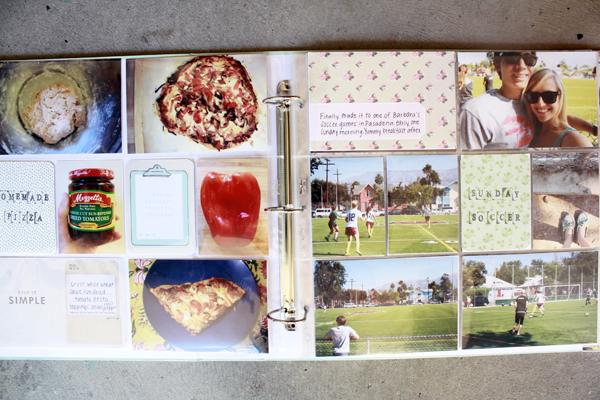 I scrapbooked for years…ever since my freshman year of high school when my English teacher assigned us a scrapbook. Well, I kept up with it pretty well. The summer after each school year I’d have a lot of down time to work on it. The problem, since graduating school, is I haven’t had those summers off anymore. So I’ve gotten behind. As in, five years behind. I had already started my scrapbook for my sophomore year of college, so I finished it up and then decided to focus on Project Life. What first attracted me to it was how cool it looked. What turned me away from it it was that people were making this whole Project Life system a whole lot more complicated than it was intended to be. I see bloggers add embellishments up to wazoo, and though their page spreads always look beautiful, it is counterproductive to what this system is all about. I decided to jump on the Project Life bandwagon and keep it simple. I went ahead and caught up with last year’s photos and just started an album for this year. 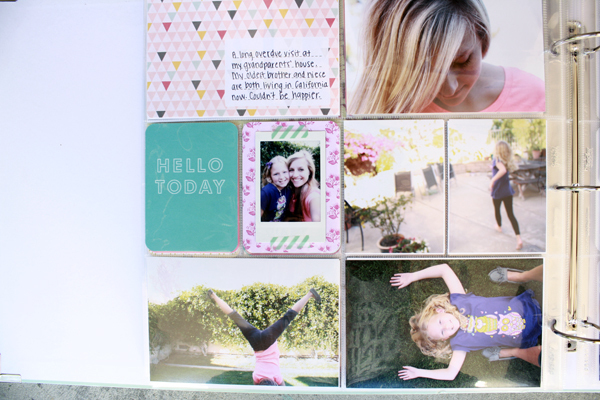 It’s 100% quicker and easier than traditional scrapbooking. It gets my photos printed in albums for people to hold and look at. It gives me just the right amount of room for creativity, while still being doable…for anyone. Anyway, let me share my process and the supplies I use with you, so that if you have been wanting to get your photos in albums (other than just slipping them in traditional albums) but have felt overwhelmed and don’t know where to start, hopefully this will help you. Here is what I’m using/doing currently. Let me first note that I create my albums to run from the fall through the summer (like a school year, rather than a calendar year). I also don’t limit myself by having each spread document only one week. I make a page(s) for specific events or themes (I do still use a lot of photos of everyday life). If you’re worried about not fitting your entire year into the album by using this method, it did work for me. Each album is supposed to hold 60 photo pocket pages (120 pages), but I ended up including about 5 more, and it worked out fine. Also, worst comes to worst, you could always split your year into two albums if you have too many photos you want to include! 1. Once a month, I’ll sit down and select the photos from the past month I want to print. I have a Mac, so I use the “flagging” option in iPhoto, and it works wonders. If I still need to edit any of these photos, I do just that. I then order online through Costco (13 cents/photo), and they’re ready in an hour (you have to have a Costco membership to do this)! I only order size 4×6. My spreads are pretty photo heavy already (I take a lot of photos), so I try to only include the photos that I love or are necessary for telling the story. 2. I then sit down with the supplies I listed above. I organize my photos in date order, so I know what order they should be in in my album. Because of the nature of the photo pocket pages, sometimes my photos have to be a little out of order. If I have a lot of vertical photos for one event, but my next page in the album is horizontal, I have to rearrange a little. 3. Even though I print only 4X6 photos, I still use the 3×4 pockets. If I have a photo that can be cropped to fit in these pockets, I’ll lay a 3×4 journaling card over the photo, mark the size of it with a pen, and then crop the photo with my Fiskars paper trimmer. Obviously, if you want to include the entire photo, this method would not work for you. So far, it has worked pretty well for me. 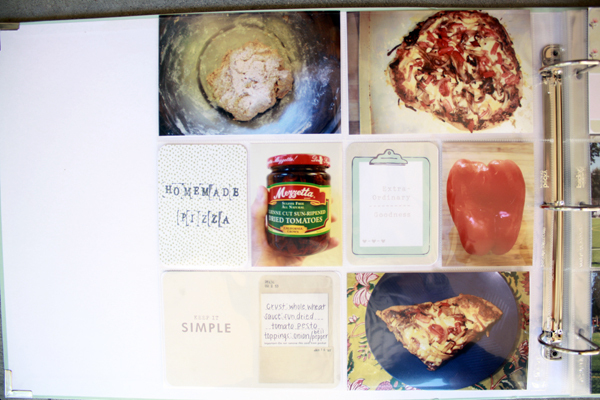 I’ve also used one photo across two 3×4 pockets simply but cutting the photo in half. If I have any Instax photos I want to use, I’ll tape them onto a journaling card with washi tape. 4. I’ll then fill in the title and journaling cards if there is room on my spread (I only work from one core kit to keep things simpler). Later I’ll go back and journal (on the cards and/or on the photos), as well as use my alphabet stamps to title the pages, etc. The only other things I’ll add to my pages are ticket stubs, postcards etc…little mementos from trips and occasions to complement the photos. 5. Done! It’s that easy. Because you aren’t cutting (usually) and pasting, you are limited to the size of the pockets in the pages. This is why I use the Big Variety Pack 2 (though I’m not sure it’s available anymore), so that I can use both horizontal and vertical photos (I take a lot of vertical photos). 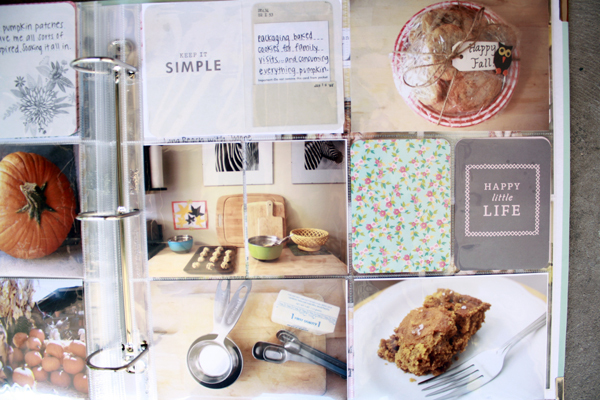 I’m still waiting for the Project Life corner rounder and date stamp to come out to put the finishing touches on my pages. I hope this made sense and wasn’t too long to get through. Let me know if you have any questions!